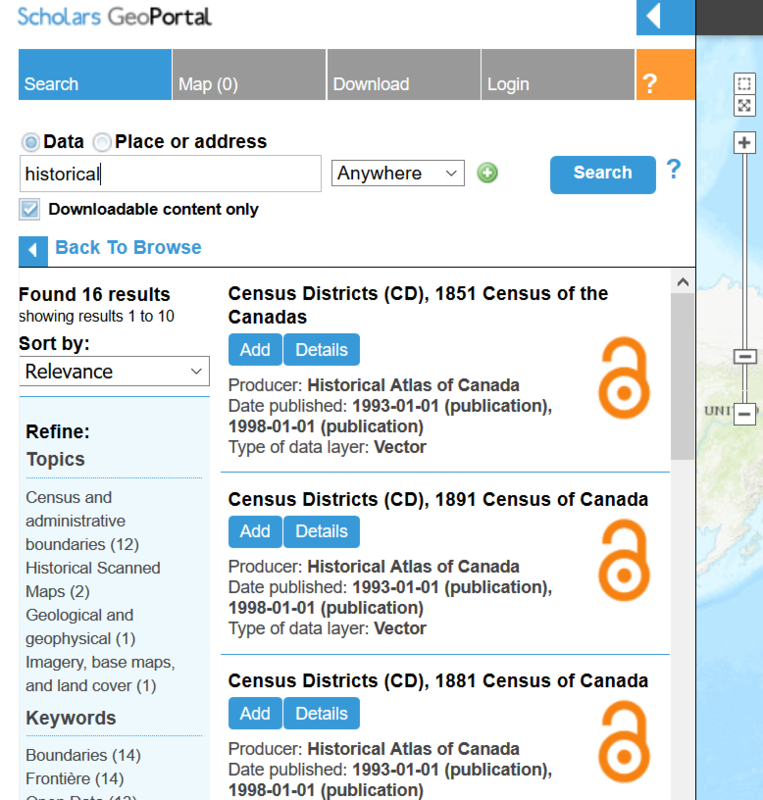 In honour of International Open Access Week, which this year is October 23-29, this month’s featured topic is how to find Open Access (OA) content on Scholars Portal services. OA articles on Scholars Portal Journals are identified by a green “Open Access” badge. Users can limit their search results to OA content only by checking the “Open Access Articles” button when searching. Visit https://journals.scholarsportal.info/ to try these features. You can limit your search on Scholars Portal Books to specific collections. Searching “Public Collections Only” will include results from all the open content on the platform, including government documents and titles in the public domain. Limiting to “Open Access” will search just the collection of Open Access books from university presses. Visit https://books.scholarsportal.info to learn more. Although Scholars Potal’s data services — the Scholars GeoPortal, odesi, and Dataverse — don’t have the ability to limit searches to open content, they do contain collections of open datasets. When accessing the GeoPortal outside of a subscribing university, the collections that appear in the “browse” section are automatically limited to open collections. Specifically, most historical collections are open. Open geospatial datasets are identified with an orange OA symbol. Visit geo.scholarsportal.info to view these maps. Metadata for datasets in odesi is open and anyone is able to search. For many collections, downloads are limited to subscribing institutions. However, some collections, including the majority of the public opinion polls, are entirely open. Open datasets are also available on the Scholars Portal Dataverse.